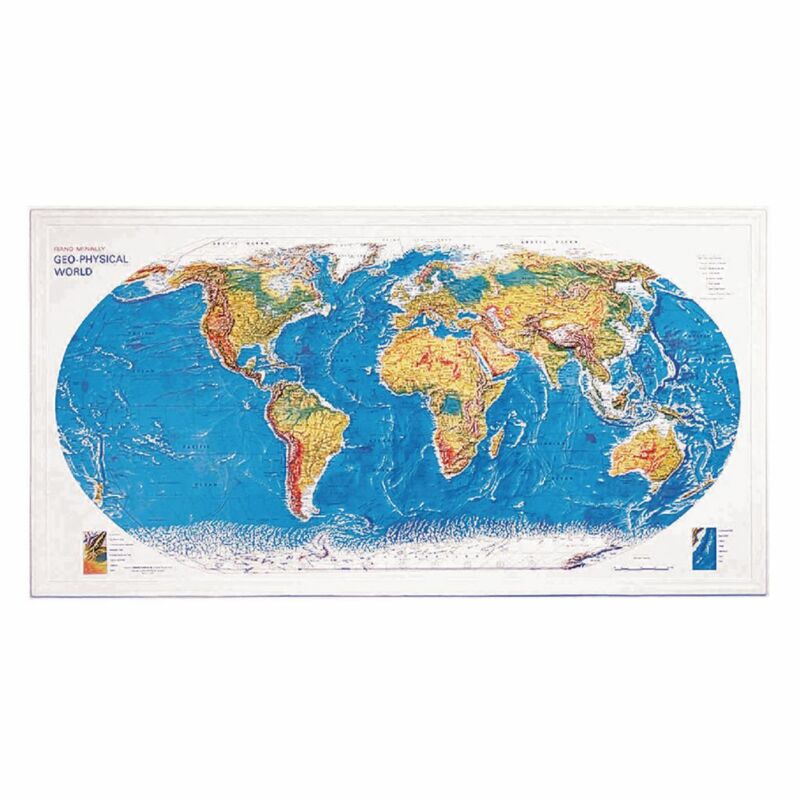 This full-color map depicts land elevations. The map includes color keys to terrain, vegetation, time zones, and ocean features. It also features scales, national capitals, population keys for major cities, major ocean depths, and even Antarctic bases.